Cindy Palicka, Program Director, has over 18 years of experience working with children, three years as a full-time substitute teacher at a Manhattan private preschool, and fifteen years overseeing children and family programs for age birth through fifth grade at Trinity where the preschool is located. She has written and developed curriculum that specifically engages children in hands-on exploratory learning using a variety of mediums to teach the same theme. Having raised three sons in Manhattan, Cindy has personal knowledge of the wonderful complexities of bringing up children in such an exciting place as New York City. She holds a Master of Education degree in Elementary Education from Hunter College and is CPR & First-Aid certified. Q: What exactly is play-based learning? A: Play is one of the most significant means by which children explore, investigate, imagine and learn about how the world works and discover their unique place in that world. In play-based learning, structure exists but the emphasis is on guiding children to learn with lessons carried out through play and socialization, rather than academics. It is an active, child-initiated process that supports children’s learning in many domains including physical, social/emotional, creative, science, math, language, and literacy. Play-based learning allows children to play for the sake of learning, not forsake play for learning. Q: What is your vision for the school? 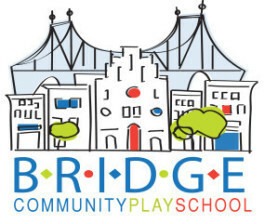 A: Our mission statement defines two aspects of what we envision for Bridge Community Playschool. First, we want to offer young children a gentle, safe introduction to this new experience called “school”. And second, we want our student body to reflect the wonderfully diverse community of the neighborhood. Jaclyn Meltzer, lead 3’s Teacher/Education Coordinator, holds a Master of Education degree in Elementary Education from Hofstra University and state certification in Gifted and Talented Education. Jackie has been teaching at the elementary level for 15 years and prides herself on bringing out each child’s full potential as a learner while fostering their social and emotional growth. She is a mother of two school-aged girls and resides right in our own neighborhood. Jackie loves spending time being crafty and exploring all the city has to offer. Q: How does BCPS prepare my child for the next step in education? A: Here at BCPS, we take satisfaction in knowing we meet and exceed the criteria that NYC private and public schools require and set forth. Our goal is to provide each child with a comprehensive and age-appropriate curriculum that is driven by high standards, yet also caters to the individual needs and emotional nourishment that young children require. I am positive that every child who spends their formative years at our preschool will be set on the path to educational success. Colette Apello, lead 3’s Teacher, holds a bachelor’s degree in Early Childhood Education from Florida State College in Jacksonville, Florida. While Colette brings a youthful exuberance to the classroom, she also displays a high level of commitment to learning about best practices in educating young children. Colette, who is newly married, relocated to NYC with her husband a year ago. She is a neighborhood resident and is loving the diversity of life in the city. She is CPR & First-Aid certified. Q: What do you like most about working with children? A: Little ones have my heart. I find it so exciting to share in their many milestones as they begin to grasp language and social skills. It is amazing to see the transformation that takes place from early fall when children start school until a short ten months later when they “graduate” to the next level. It is very exciting to be part of the field of early childhood education and I am happy to be part of the wonderful school community of BCPS! Stacy Leinfuss, Lead Pre-K Teacher, is a graduate of Muhlenberg College in Pennsylvania and holds a Bachelor of Science degree in Psychology. Before joining the BCPS staff this year, Stacy taught at a school in Brooklyn where she was instrumental in creating and then implementing an arts program for pre-kindergarten and kindergarten. She is completing her master’s degree in early childhood education. Stacy loves all things glitter and glue! She is CPR & First-Aid certified. Q: What do you find special about working with preschool aged children? A: I LOVE children of all ages, but, my favorite group to teach is four year olds because of their innate wonder of the world surrounding them. Working with this age also allows me to lend my own creativity to their classroom experience while still fostering each child’s independent thinking and imaginative conclusions. To be part of the process of guiding and broadening their thoughts and ideas as I prepare them for successful entry into their elementary school years is the most rewarding part of my profession. Eileen Graham, Assistant 3’s Teacher, joins us this year just as her youngest child leaves BCPS to attend kindergarten. While her background is in law, when a job opportunity presented itself here at school, Eileen was eager to jump on board. She is a neighborhood resident and all three of her children now attend one of our local public schools. Eileen is originally for Ireland and relocated to NYC four years ago with her family. She is CPR & First-Aid certified. Christine Cifu, Assistant Pre-K Teacher, worked as a Pre-K assistant and camp counselor while pursuing her education at nearby IONA College. Christine holds a Master of Arts degree in Clinical Research/Psychology. With both her daughters in school, Christine rejoined the workforce three years ago and has found a new passion (and career) in the education field, so much so that she plans to pursue a second master’s in education in the not-too-distant future. Christine is CPR & First-Aid certified. Laura Pocock, Administrative Assistant, is the friendly face that greets our families each morning. She helps with the school’s ever-growing administrative paperwork and also lends a hand when needed in the classrooms or during large motor play. Laura originally hails from the English countryside where she studied Psychology, Sociology and Dance. She relocated to New York a few years ago with her husband and loves everything about our city. Laura is CPR & First-Aid certified. Pauline Pisano, Anais Kim, & Joy McKay, Specialty Teachers. In addition to our regular staff, three specialty teachers join us each week. Miss Pauline’s music classes are designed to engage children through rhythmic exercises, instrument exploration, movement activities and sing-a-longs. She uses original kids’ music, nursery rhymes with different rhythmic components and popular music from around the world to instill a love of “all things” musical in our children. Pauline holds a Bachelor of Fine Arts degree from New York University and has also studied Music & Movement at Bank Street College of Education. Miss Anais introduces the children to the Spanish language, through fun, interactive games and activities, each designed to help children begin building a vocabulary of simple Spanish words, concepts and phrases. Anais graduated with a bachelor’s degree in Marketing from Syracuse University but has a new-found passion – teaching young children to embrace her native language. Miss Joy found her passion for musical theater in her home state of Texas. She moved to NYC to continue cultivating her craft at the American Musical Dramatic Academy. Joy’s movement class combines simple ballet techniques with storytelling, imagination exercises, fun props and games and allows the children to use their own creativity in exploring improvisational dance and creative movement. Joy has performed in many shows and theaters all over the world including television, film, commercials and print work.